BMR has launched a new membership for non-business customers. For £56.00 + VAT and shareholding. Any private household can join BMR and benefit from reliable contractors and tradesmen as well as access to competitive deals on supplies. 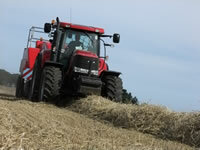 Grounds work contractors for fencing, hedging, walling, tree surgery, pasture topping and pasture renovation. Garden maintenance, from landscaping to grass cutting. Builders, Plumbers, joiners, electricians, painters and slaters - including accounts with local builders merchants. Free internet access, phone bill reduction, electricity supply quotes. Regular ringleader newsletter by email, post or looking at our website.